Home Everett Leadingham Does the Bible Really Say That? 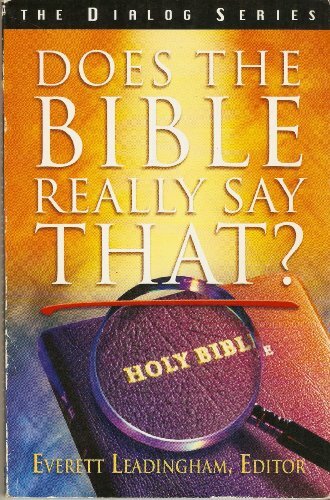 Title: Does the Bible Really Say That? Hate my family? Sell everything? The unpardonable sin? What do we do when the Bible is hard to understand? Does the Bible Really Say That? examines sayings that are either difficult to hear or hard to comprehend.This study searches the historical background, customs of the time, and meaning behind the words, which are central to understanding the truth behind the sayings.